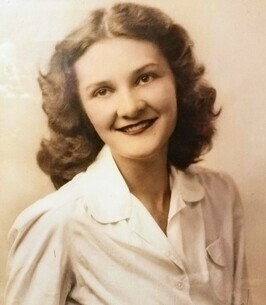 Sally Ann Leithiser Anderson, passed away on September 27, 2018. She was the wife of the late Wesley Anderson. Sally had lived at Valerie Manor for the past twelve years, cared for by loving staff. She was born on July 27, 1927, the youngest daughter of the late Gladys Converse Leithiser and attended Litchfield Schools. She met Wesley R. Anderson after World War II and married the man who had lived next door on June 26, 1954. They had one daughter, Lois Marie in 1955.
the Order of the Eastern Star, the Ladies Auxiliary of the Military Order of the Purple Heart, the Girls Scouts and more. Sally was the primary care giver for her mother when she became ill in the late 1980s until her passing. 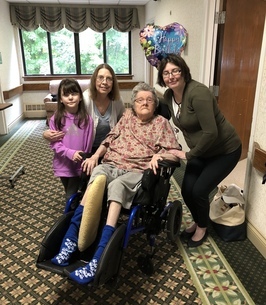 She is survived by her daughter Toby M. Anderson-McKay and husband Al McKay, Sr., granddaughters; Erin Desrochers and Adrienne Randall, great grandchildren; Zachary, Zoe and Isabella, a sister Mona C. L. Dearborn, nieces; Elizabeth, Ellen and Nan, two great nieces and one great nephew. She was predeceased by her brother, Eugene and her brother-in-law, Hank Dearborn. A funeral service will be held on Monday, October 1, 2018 at 1:00 pm at St. Paul’s Episcopal Church, 802 Bantam Rd, Bantam, CT. Burial will follow in Bantam Cemetery. There are no calling hours. To send flowers to the family of Sally L. Anderson, please visit our Heartfelt Sympathies Store.